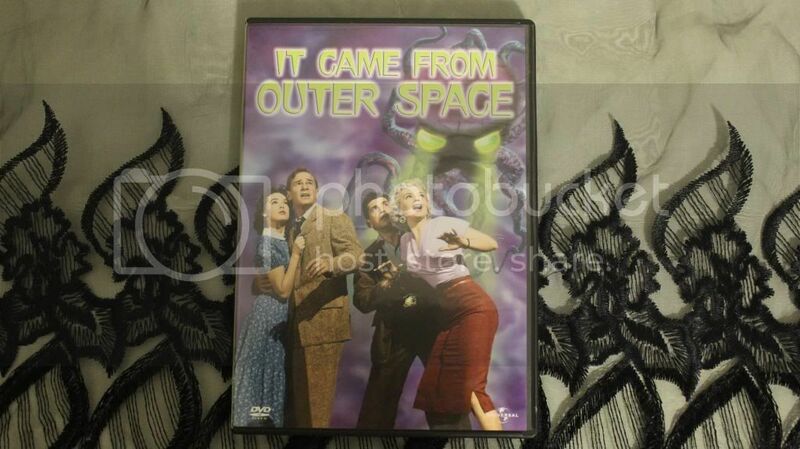 Now it's time to review the 1953 film, It Came From Outer Space. John and his fiance Ellen see what they think is a meteor crash to earth. John discovers it was in fact something from another world. No one, not even Ellen at times, believe him. Over the next few days, some townspeople begin disappear. I'll leave it at that for those of you who've never seen it. One thing I forgot to mention in my video is that the film was released in 3D. It actually was It was Universal's first film to be filmed in 3D and I kind of wish the DVD had a 3D option to it so I could see how that could have looked. However I feel like that was a weird choice and probably the studio's idea since the filmmakers originally did not want to even show the monster at all.